In this post, I will give a brief introduction to modeling in Blender! 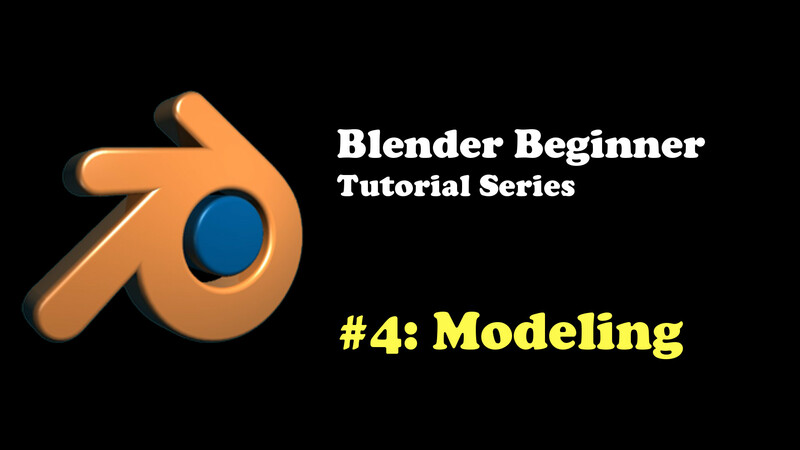 By the end of this tutorial, you will be able to do some basic modeling in Blender! Modeling in Blender is generally quite fast (even faster with shortcut keys) and fun to work with. When you open Blender initially, you will be presented with the default cube which should already be selected (if not, select it). You will notice at the bottom of the 3D window that you are in ‘Object Mode’. This means you are currently working on your 3D object at the general object level (if that makes sense). You can’t do any actual modeling with it whatsoever. If you want to go in and model and stuff your 3D object up, you need to be in ‘Edit Mode’. This mode will show you all the vertices, edges and faces that you can pull, stretch, bend and twist to your desires. So, if you want to model an object, select your object (by right-clicking and go to Edit Mode! Easy shortcut key tip: You can also go to edit mode by pressing Tab. 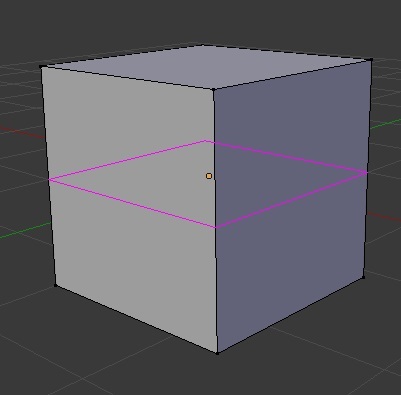 In Blender, a 3D object is made up of vertices, faces and edges. Vertices are those dots. Edges are those lines and can have 2 or more vertices at its endpoints. Faces are the actual surface of your 3D object. We’ll only work with vertices in this tutorial. If you want to do the same kind of stuff with edges or faces, just change the selection mode at the bottom of the 3D window. To work with vertices, you would click the Vertex Select Mode. To work with edges, you would click the Edge Select Mode. To work with faces, you would click the Face Select Mode. Now we are ready to do some basic modeling in Blender. Let’s start easy! You can select any vertice by right-clicking. You can also select multiple vertices if you want by either shift+right-click, or doing a box-select (B + left-click drag) or circle-select (C + left-click. Then ESC to finish selection). You can also select all the vertices by pressing A. 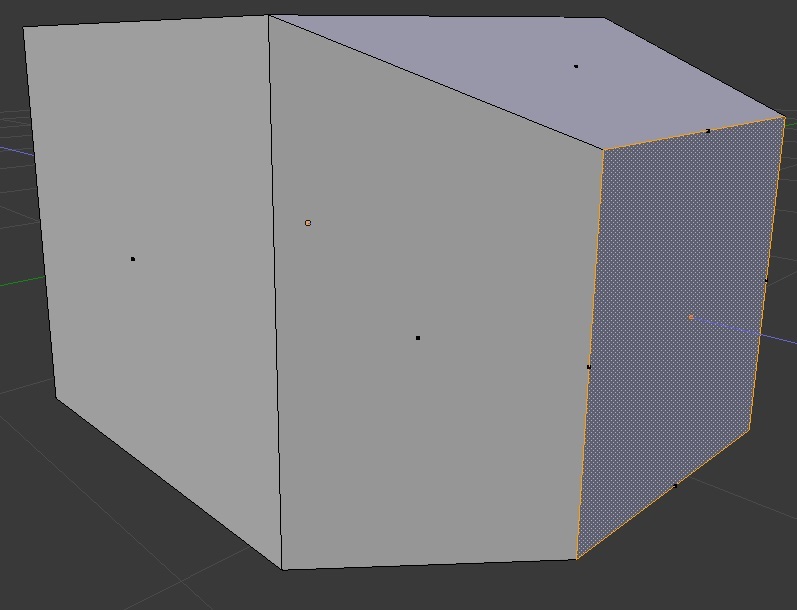 Pressing A again will de-select all vertices. Then you can do modify your object in any way you want. You can use the same shortcut keys as I showed in this tutorial here! Select any vertice by right-clicking and move and/or rotate them by hitting G and/or R respectively. We can’t scale a single vertice as that wouldn’t make any sense. You can however, scale if you have multiple vertices selected. To do this, just select a bunch of vertices (or even just 2 vertices) and then press S.
Of course, modeling in Blender is more than just pushing and pulling random vertices and faces. The 2 most used modeling tools in Blender (at least for me) is the Loop Cut tool and the Extrude tool! Loop cuts can add better details to your 3D models and help shape the object to exactly the way you want it. To add a loop cut, hover your mouse somewhere on your 3D object, then press Ctrl+R. 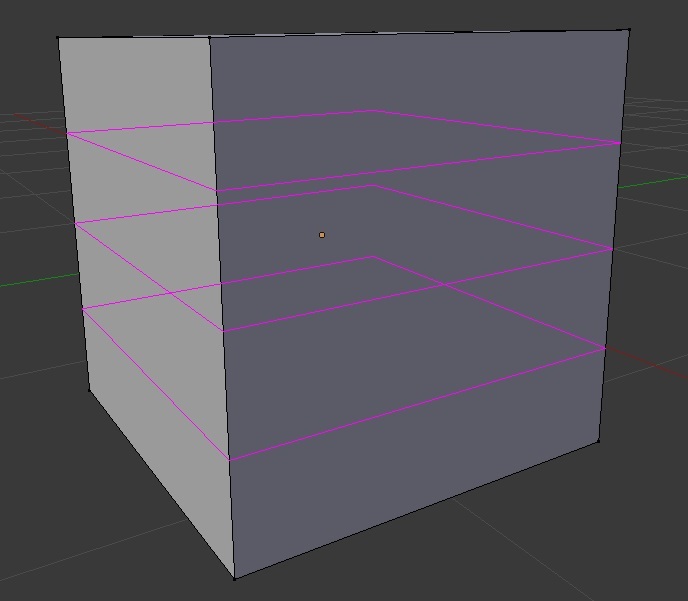 Blender will show you a purple line that sort of “wraps” around your 3D object. This is where Blender shows you where you are about to add a loop. If you like this position, then left-click. 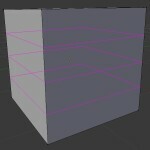 This will put a new loop around your 3D object and give you some more vertices, edges and faces to play with. If you haven’t left-clicked yet, you can scroll up and down to get more loop cuts in the same area. Extrusion is like forcing out more of a surface on your already existing mesh surface. It might make more sense if you try it out for yourself. Go to Face Select Mode and select any random face. Then extrude out that face by pressing E and then moving your mouse up (or down). You should have forced a new set of vertices, edges and faces. You can do all sorts of stuff with Extrude! Most 3D models you create will mostly likely start from a simple shape and then will need a few extrusions to get the base shape of the 3D model you want to create. A lot of those YouTube “modeling in Blender” tutorials will use extrusion a lot! Modifiers are operations you can carry out on your 3D object in a non-destructive manner (cf. with reference). 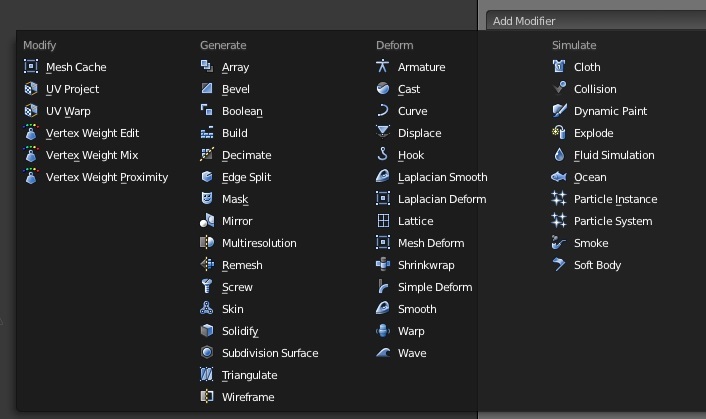 There are a lot of different modifiers you can choose in Blender and each of them does a pretty cool thing. Modifiers can save a lot of time, especially since you don’t have to do as much modeling in Blender. The one that’s heavily used though is the Subdivision Surface Modifier (or SubSurf for short). When modeling in Blender, you might get too sharp and jagged edges. SubSurf will smooth everything out and making it higher detailed. The smoothing out will generally get rid of sharp edges and is thus most effective for organic type of models like characters, animals or magical creatures. So that’s the very basics of modeling in Blender. 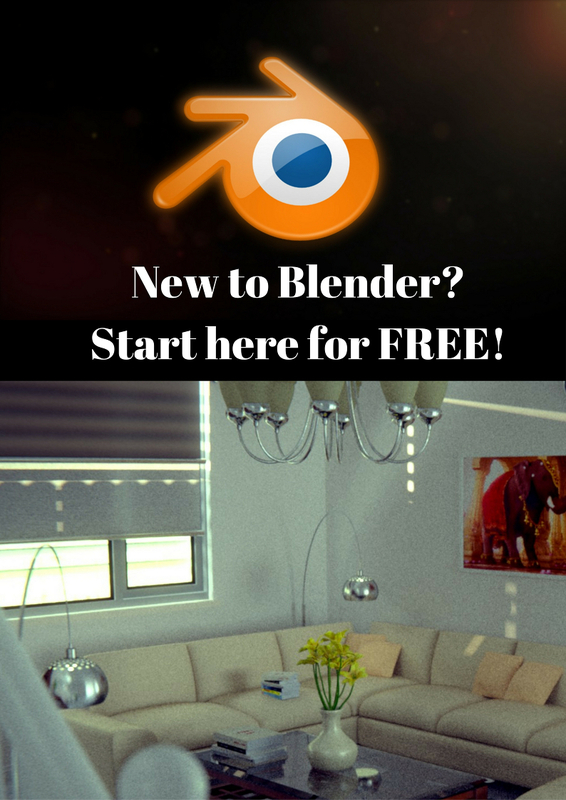 There are tons of good quality “modeling in Blender” tutorials out there on the Internet. Well now you know the extreme basics, I guess you should be able to start following those YouTube tutorials now! You are now able! Please feel free to comment on anything about this post and thank you for reading!